Help students learn physics by doing physics. 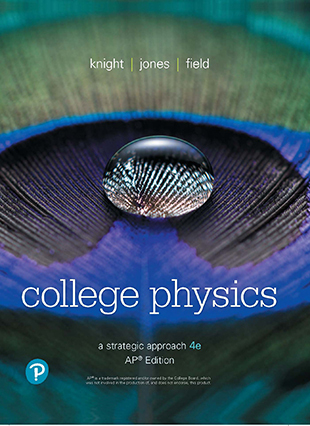 College Physics: Explore and Apply allows students to build a deep and robust conceptual understanding of physics by encouraging them to take an active role in the learning process. Through this approach, students build a strong conceptual foundation via observation, analysis, and testing that leads to confidence in applying their knowledge to complex situations. College Physics: Explore and Apply --The very title reflects the unifying philosophy of the textbook and supporting materials that consistently permeates every chapter: students are guided to explore natural phenomena by observing simple experiments, finding patterns in their observations, explaining the patterns, testing their explanations in new experiments and, finally, applying the conclusions to solve practical problems. This pedagogical approach is called ISLE – the Investigative Science Learning Environment –and it is totally consistent with the goals of the Next Generation Science Standards and the revised AP curriculum. 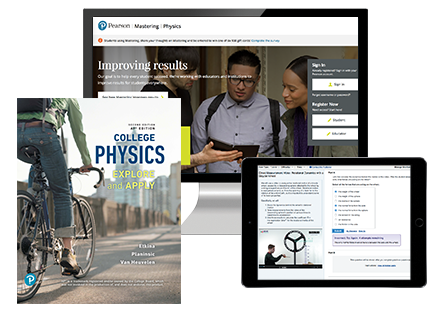 Mastering™ Physics and the Pearson eText engage students in active learning and the world of physics. New types of End-of-chapter problems give students the chance to apply what they have learned while the Active Learning Guide (ALG), Instructor Guide, and Ready-to-Go Teaching Modules create a comprehensive learning system that instructors can efficiently adapt to their method of instruction.